Hello, Just found this forum. 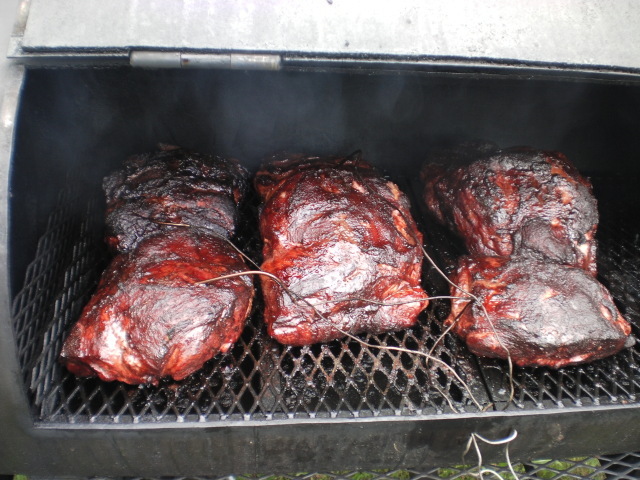 Started BBQ about 15 years ago on a cheap New Braunfels offset. Over the next few years acquired a Smoke Hollow #5 gasser that I never use and will sell one of these days, just never really got into gas, made some bacon on it and a couple butts and that is about it. I have a Lang 48 deluxe and early this spring I bought a Char-Griller komado Kooker that I really like. Like most I have made some really good food and ruined some perfectly good meat also. I got my first Weber kettle this year for fathers day so I guess I am working backwards. Welcome Animal, sounds like you will fit in here just fine, many of us are kind of backwards Looking forward to your posts. Backwards? Well you bought the gasser and then the Weber. Sounds like progress to me. We all love to see pictures of your cooks, so don't be shy. There's a group 'round these parts that might not believe ya if you don't post pictures along with the text. But sometimes we just can't get pictures...an angry mob wanting to eat NOW, dead camera batteries, fingers covered in grease or sauce, etc. Don't let them discourage you from posting anyway. We can look at pictures in our minds. But remember, pictures are more fun. Hey Animal...hearty welcome to you. Looking mighty tasty. Fine job. Nice groceries. I especially like the color. 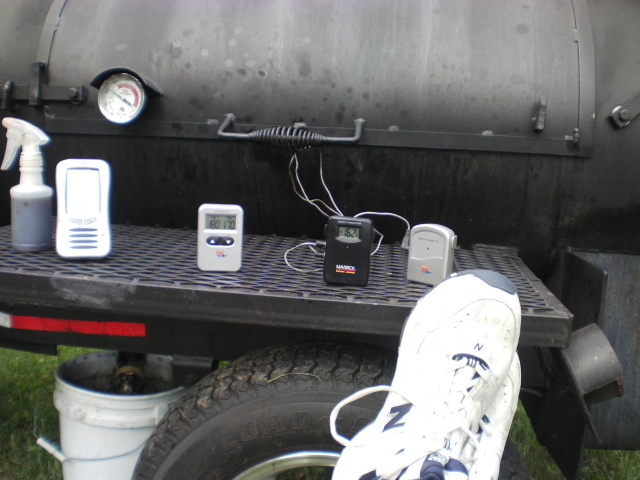 I see you are working very hard, Feet propped up so you can pay close attention to the instrumentation. I like the dark one at 11 o Clock. Just the way us old Whiskeyta Falls boys was raised I guess. T-Bird was the in drink in them days seems like. Ripple come later.